Uber informed “about 300” workers of their termination earlier today as part of plans to shut down its self-driving car testing program in Arizona following a fatal crash in March, where one of the company’s test vehicles struck and killed a pedestrian, according to The Arizona Republic. The laid-off workers include safety drivers tasked with riding in and monitoring the self-driving test vehicles, according to the report. Uber’s traditional ride-hailing service will not be effected. 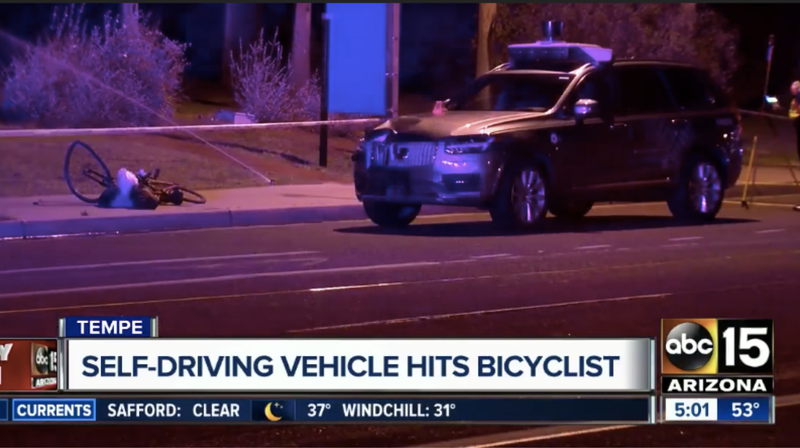 Following the fatal crash in Tempe, Arizona, where a self-driving Uber vehicle hit 49-year-old Elaine Herzberg as she was crossing the street with her bicycle out of the cross-walk, Uber voluntarily pulled all of its self-driving test vehicle from public roads. Uber’s self-driving test program began in Arizona in 2016 after plans to start in California fell through. At the time, Arizona Governor Doug Ducey proudly bragged about his state’s efforts to avoid the “bureaucracy and more regulation” concerning self-driving technology. Following the fatal crash, he signed an executive order halting self-driving road tests until investigations were complete. Jalopnik has reached out to Uber for clarification on the number of workers laid off and its future plans for self-driving vehicles in Arizona, and will update this article when more information is available.